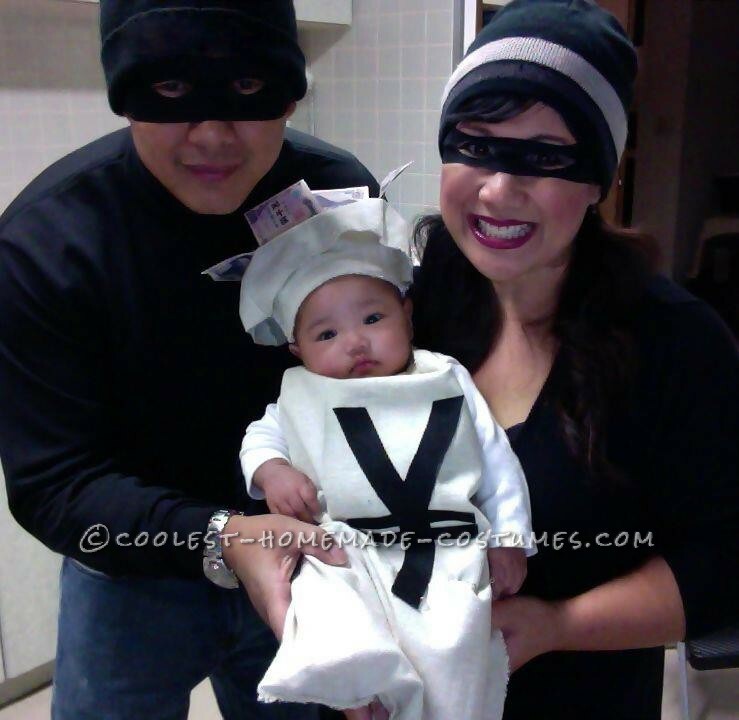 With these cool baby costume ideas, your mini-me will be the star of your Halloween theme. Using these ideas, you can make your little ones the sunshine on a cloudy day or serve them up on a bed of spaghetti and meatballs. Or you can plant them in a portable garden pot. Maybe you’ll fly them around the neighborhood in an airplane made for two. Also, you can throwback to the stone age family with Pebbles and Bam Bam. In addition, you can even give them an alias of “Money Bags” and steal them away. Most of all, the creativity and cuteness of these baby costume ideas might even tempt you to have another child! 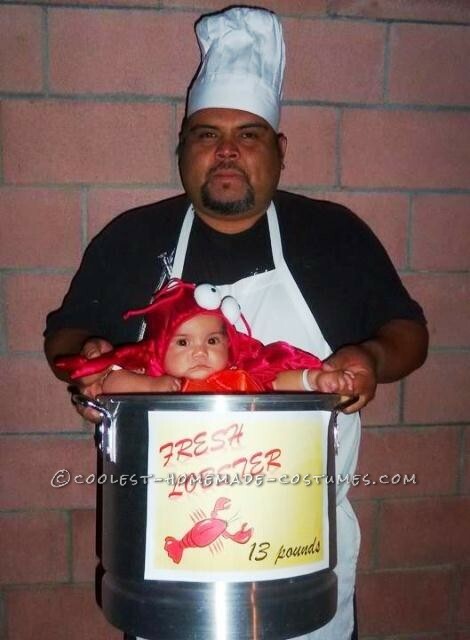 This Lobster costume created by Monique from Rosemead, California was very simple to make and got lots of laughs. 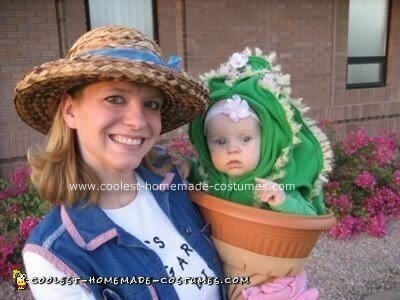 This Cactus costume created by Cyndi from Meridian, ID, USA was made for her six-month old daughter. Since she worked out all the kinks in her costume, you can make this in a snap! 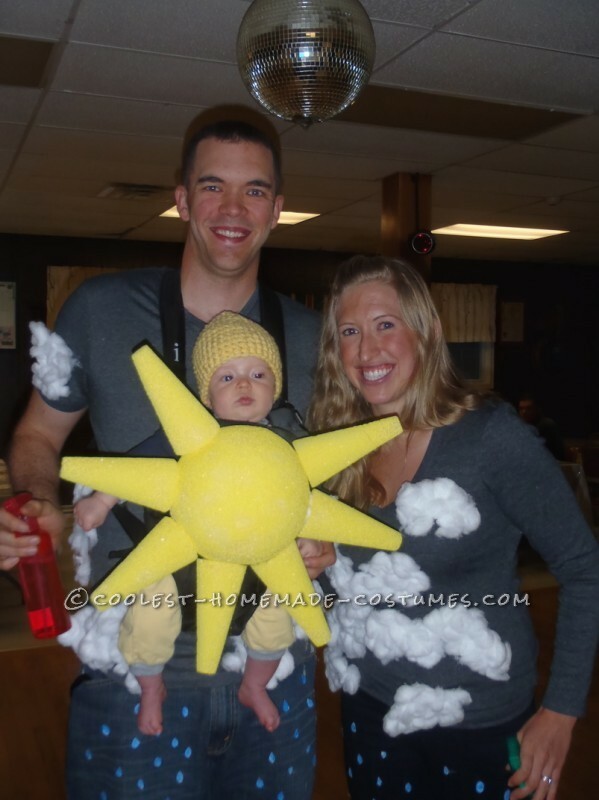 Created by Gracey from Fort Drum, New York, this Weather costume was made for the first Halloween that her son has ever experienced. Cute and comfortable! Jennifer from Toronto, Ontario, Canada, a great fan of Guns N’Roses. 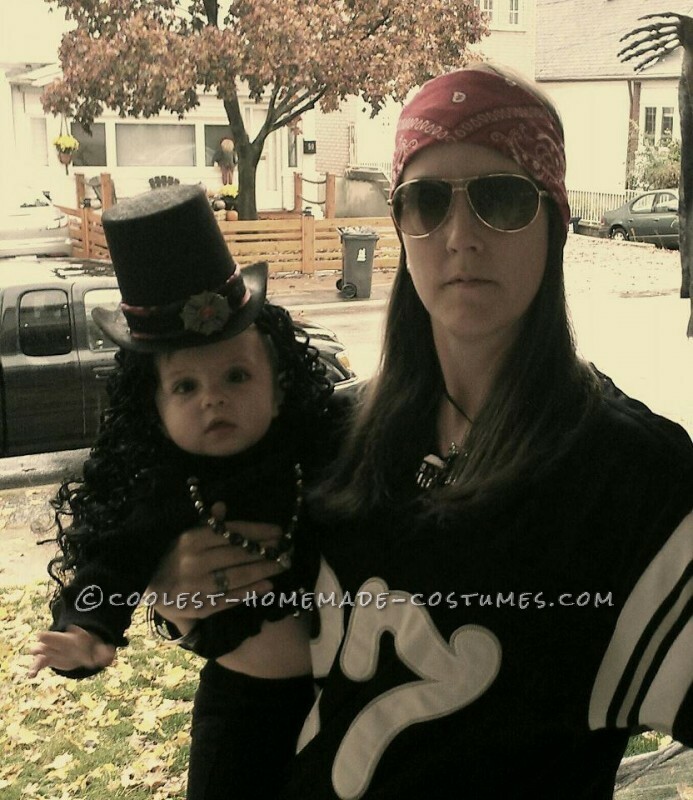 As a result, she created this infamous duo of Axl and Slash costume. Created by Donnallynn from Brookneal, VA, this homemade Snuggle Bear in laundry basket baby costume was made for her daughter and her 7 month old baby son, Kaden. 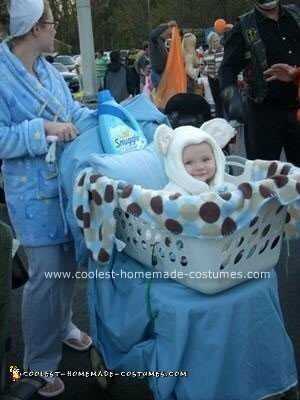 Since she always calls her son her “Snuggle Bear”, this costume was a no-brainer. This “robbers and bank bag baby costume” was made by Cathy from Misawa, Japan, part of a NAVY family recently stationed in Misawa, Japan. 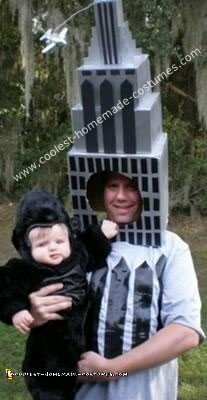 This homemade King Kong and the Empire State Building costume was made by Jennifer from Belleview, Florida. Probably the cutest King Kong scaling the Empire State Building we’ve seen! 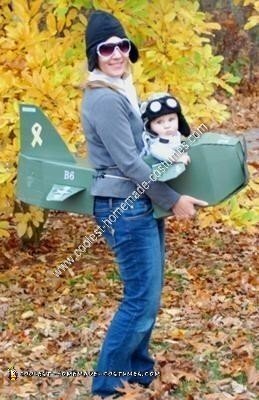 This awesome homemade Mom and Baby Aviator Costume features creator Karen from Douglas, MA, USA. 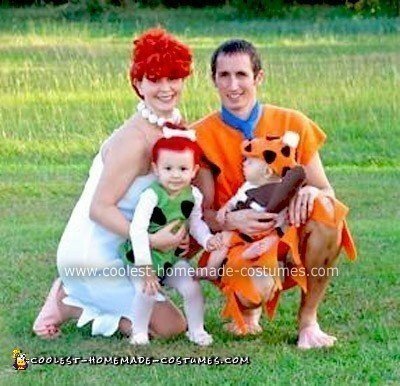 This Flintstones Family costume was made by Tami from Powells Point, NC. In the end, it was so much fun to make and turned out amazing! Read how Angela from Billings, MT, USA created this look. 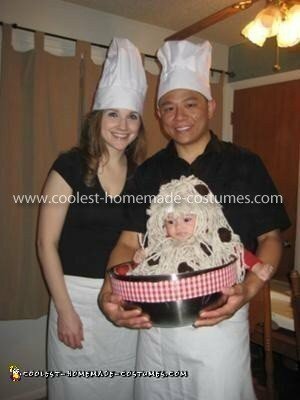 Due to her son’s love of noodles, she needed to make a Spaghetti and Meatballs Baby costume. Yum!